Jump to video Murdoch media empire at risk? 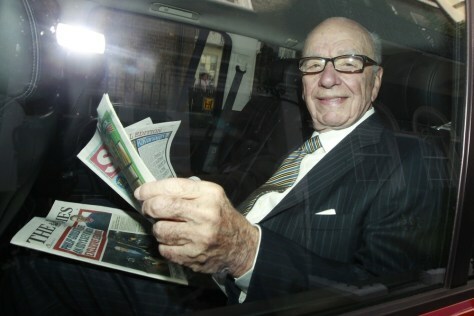 News Corporation’s CEO Rupert Murdoch holds a copy of The Sun and The Times as he is driven away from his flat in central London Monday. A final decision on Murdoch’s plan to take over British Sky Broadcasting PLC has been delayed for several months by the British government amid a widening phone hacking scandal.